Waiting Period Changed. Beginning May 8, 2012 an individual must serve a one-week waiting period with no benefits payable during the first compensable week within a benefit year. Substantial Penalties for a False Statement. A claimant who willfully makes a false statement or representation or who willfully fails to disclose a material fact to obtain or increase any benefit or payment is guilty of a Class B felony if the amount involved in the offense exceeds $2,500; a Class C felony if the amount involved is between $500 and $2,500; and a Class A misdemeanor if the amount involved is $500 or less. In lieu of fines, any individual found guilty will be required to pay restitution to the Department in at least the amount of benefits fraudulently obtained. Additional Lengthy Disqualifications. In addition, a claimant who makes a fraudulent misrepresentation in order to obtain benefits to which he or she is not entitled is also subject to a disqualification for the 52-week period immediately following the date of the fraud determination. The disqualification will continue until the fraud overpayment has been repaid in cash. Subsequent fraudulent acts will subject the claimant to a disqualification of 104 weeks. Overpayment Recovery. Federal and state income intercepts used to satisfy overpayments are considered cash payments. New language also provides that fraudulent overpayment balances will accumulate interest at 2% per month on unpaid balances, and will be added to the debt balance and deposited in the fraud penalty account. The law also provides that fraudulent overpayment balances are subject to an additional minimum penalty of 15%. 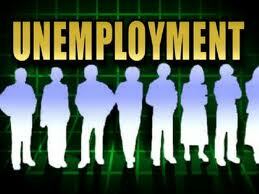 The penalty will be deposited into the Unemployment Insurance Trust Fund. Common Sense Counsel: The cost of lying to the State of Alabama about entitlement to Unemployment Compensation just got a lot more expensive. 5) Fully participate in the Department’s New Hire Program to prevent fraudulent filings.